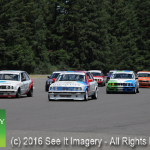 22 July 2018 Kent, WA – Heading into the weekend at Pacific Raceways the IRDC group could say that the 3rd time was the charm. 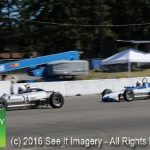 A record number of entries to the race that have not been seen for quite a while filled the grounds with haulers, trailers and motorhomes. 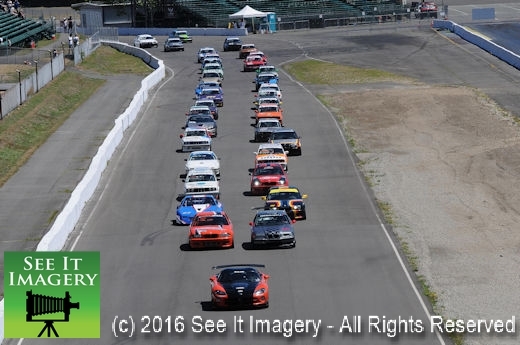 To see 40 plus cars lined up two by two for the start of a race is quite impressive, both in sight and sound. Combine all the classes along with the novice class and you had near 200 trying to qualify on Saturday with group 6 having an even dozen. 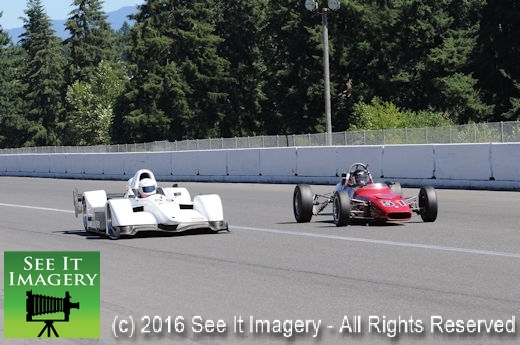 You have to think the “nose to tail” and “side by side” racing had to be a blast for the drivers testing their driving skills. 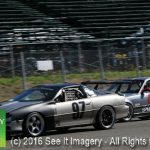 No race shop here with spare cars and parts as a lot are one of a kind and crashing it is out of the question. 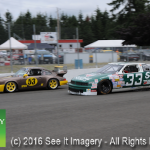 The IRDC is finished for the 2018 season at Pacific but they have more races at other tracks, go to the IRDC website for the schedule and race results from this race. 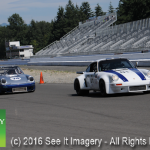 18 April 2018 Kent, WA – A non-race pure lapping day at the track in a 100% race car has to be a joy for the driver and crew. With no pressure that is around on a race day the relaxed atmosphere showed everywhere. 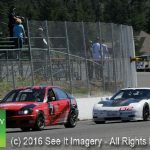 This was the first time out this season time for learning a new car all together. 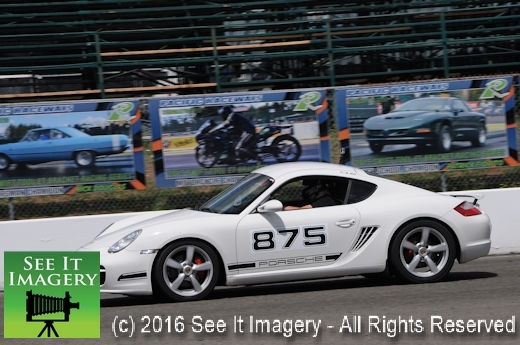 Testing all the changes, getting your rear-end learning the new or remembering that feeling of G-forces cornering at speed and the push back in the seat as you floor the gas peddle down the straightaway. The 25 minute sessions for the two groups seem to go by quickly but to the drivers the extra 10 minutes. (normal race time 15min.) 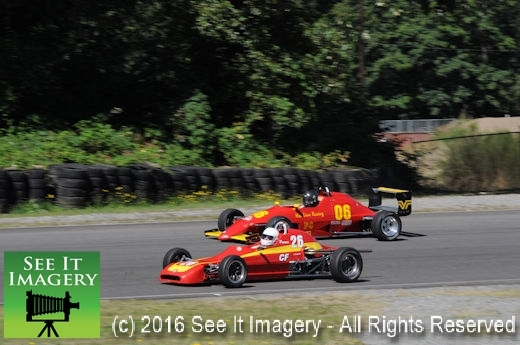 seemed to go on like running two races in one. 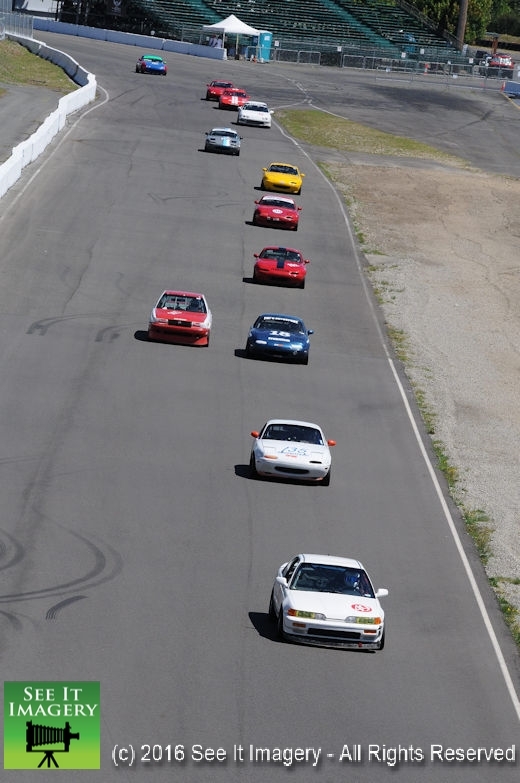 All in all it was a great day for the 100% race car lapping program. Also a big shout out to the Briscoe Family who with the Ferrari trailer as a backdrop, provided food and drinks for everyone during the lunch break. 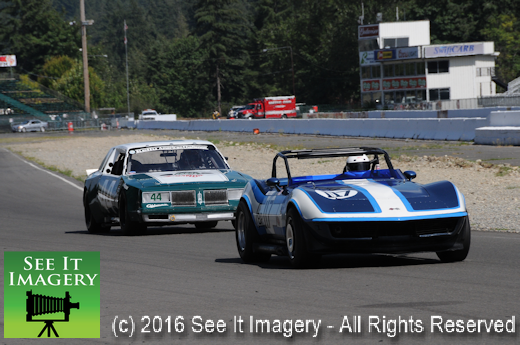 Images of all these ultra-cool race cars are now available – click here to go to the photo album. 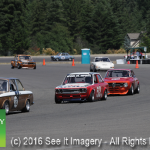 03 Dec 2017 Kent, WA – Each December Pacific Raceways property plays host to some very generous people. 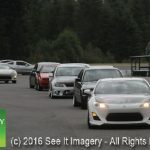 The annual NW Toy Drive benefiting Toys for Tots. 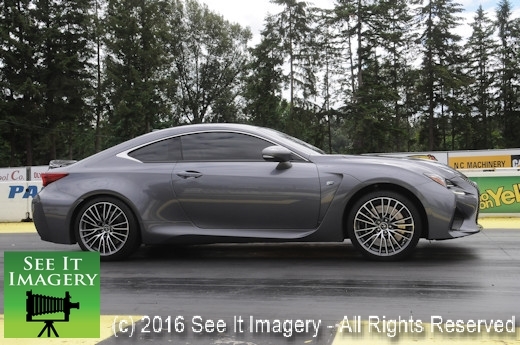 Sponsored by Lexus of Bellevue. Thousands of folks brought their un-wrapped gifts or cash donation for the Marine Corps Reserve program. 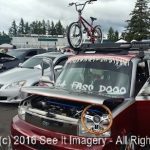 Combine this with holiday music and vendors covering the many cars out for the car show gathering. Out on the 2.25mi. 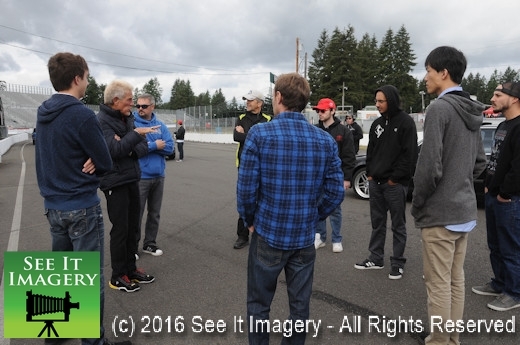 Track a “lead/follow” overseen by ProFormance Racing School and Don Kitch giving those who take part an idea of what it feels like to drive a road course. In the house, Santa and his helpers were on hand accepting gifts and posing for pictures, also on hand Ed Troyer from the Pierce County Toys for Tots program. Every year that I have covered this event it has gotten bigger and bigger thus proving the generosity of the NW to those in need. This year exceeded last year’s total when combining cash donations and boxes of toys and those taking part in the lead/follow is growing in popularity. Great job by all those involved as it takes many to help bring it together each year. Till next year Happy Holidays to all. 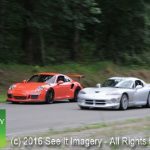 23 July 2017 Kent, WA – IRDC racers filled the paddock area at Pacific Raceways for a weekend of racing on the 2.25 mile road course. Better than 150 entries in six race groups got a splendid weekend weather wise, though it was a tad hot in the afternoon on Saturday. Qualifying in the morning then lunch and get after it for the afternoon of racing, that was the schedule each day with a racer and worker BBQ Saturday night. 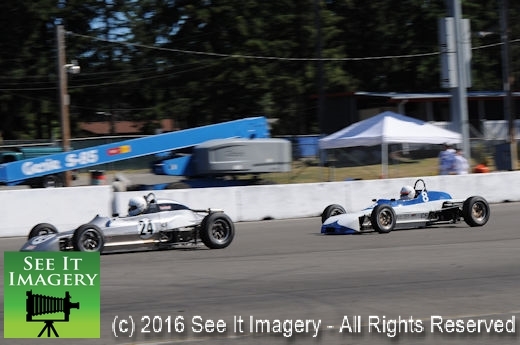 Combining the sprint race into a non-points event, and also round #2 of qualifying into one race worked toward the championship race on Sunday. Images From Sunday and Saturday’s Test Sessions are now available. Be sure to check out both albums. 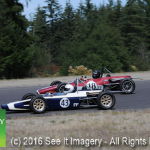 SATURDAY TEST SESSIONS LINK – CLICK HERE. 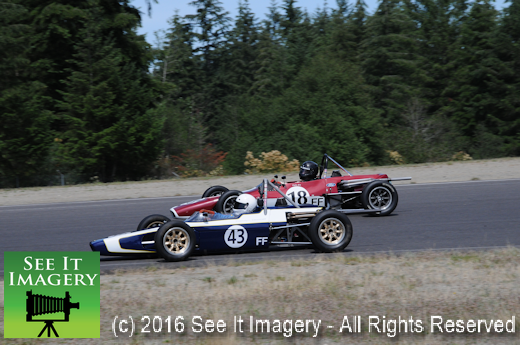 SUNDAY RACE IMAGES – CLICK HERE. 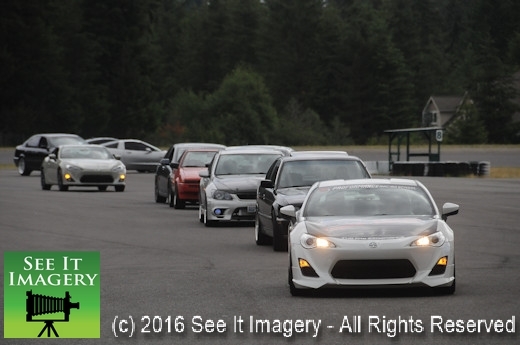 30 April 2017 Kent, WA – The first of three visits to Pacific Raceways for 2017, SOVREN started off with their Spring Sprints event at Pacific Raceways. It Began Friday with a practice day for all and a Novice instruction session. 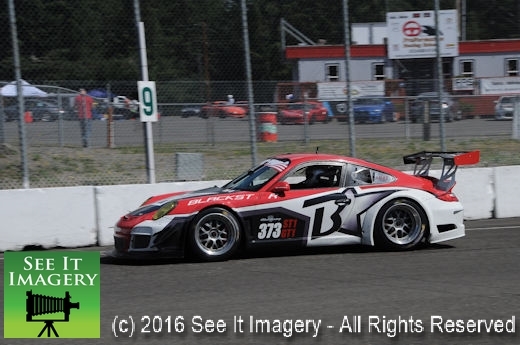 Saturday brought qualifying in the morning and race number one for all classes. There was just a couple short of 90 entries for the weekend of racing with nearly 30 in group 2. 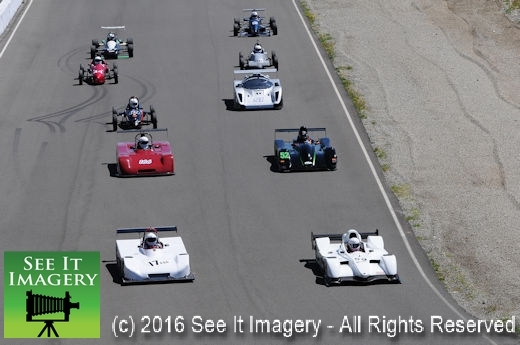 With twenty minute sessions for each group everyone gets two races in before the 5:00pm cutoff. 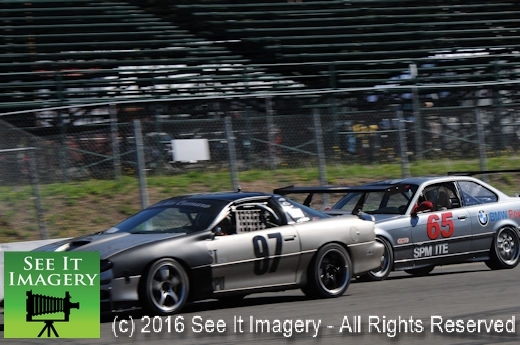 Sunday brought racing all day. 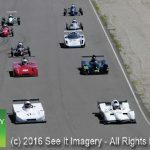 Running thru the pits and starting area counted over 35 makes and models of “vintage” race cars that could be seen and heard reliving the heyday of these fine race cars. Images are broken down into four albums, by day, and sessions. Click here to go to the main event page for all the albums. 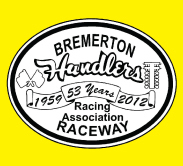 They will be back the end of June so make some plans to come out and enjoy some fine racing. 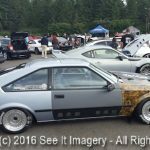 09 Apr 2017 Kent, WA – Filling the grounds with cars and people at Pacific Raceways normally comes the first week in August. 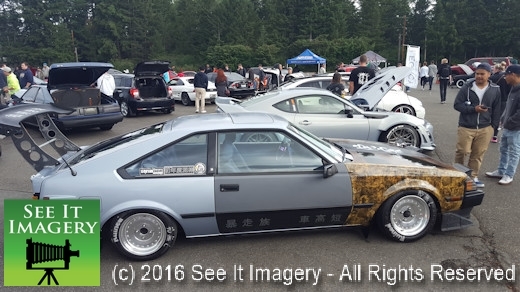 Coming in second and growing bigger each year is the HondaFest NW. 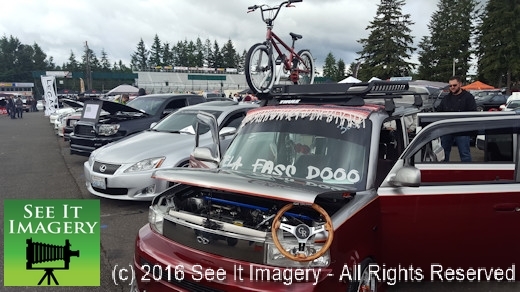 The trio of a car show, lead/follow and drag racing bring the people and vendors to this annual event. Rows and rows of all kinds of show cars and most all of them daily drivers filled the paddock area as SpeedFactory set up in their favorite spot next to the staging lanes. 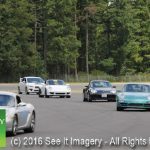 Leading off the day on the 2.25 mile track instructors from ProFormance Racing School do what is called “lead/follow” with a group of three to seven cars. 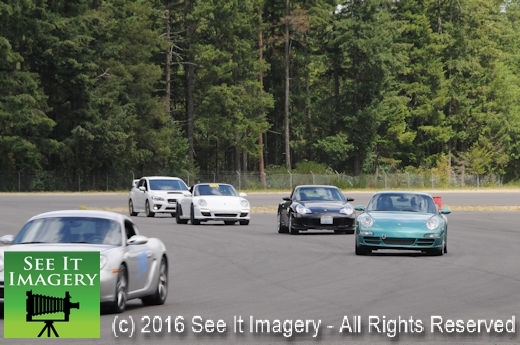 It is 100% follow the leader but that “leader” knows the fastest way around the track. No fooling around here as the last car in line has a radio and you can’t out run it. You get out of the spirit of the day you will be booted out of line, Safety First. 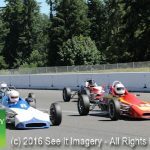 For those that follow the “drivers” meeting rules you get to push your car a little more than “normal” driving and doing it “safely”. This part of the day is also growing as near 50 drivers took part with a few doubling up. 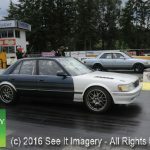 All this time the “drag crew” is prepping the drag strip for the afternoon of side by side running of all kinds of cars and trucks. Leading off the action the ultra- fast Honda’s from SpeedFactory in a mix of testing and checking the latest setup put down some impressive numbers as noted by the crowd and crew reactions. 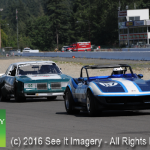 A great day put together by NWMotiv and Pacific Raceways will again look to grow the program so make a date for next year’s event. Lots of great images from all over the facility – click here to go to the photo album. As always thank you for your support and purchases! 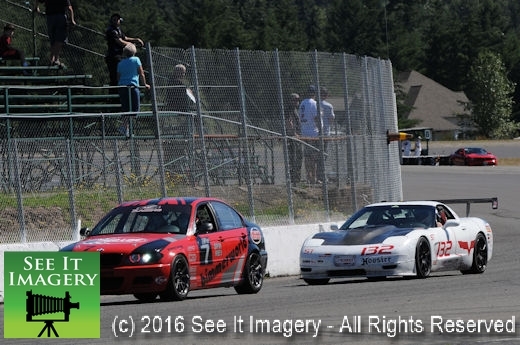 24 July 2016 Kent, WA – Back for the second date of their 2016 season the IRDC came to race on the 2.25 mile road course at Pacific Raceways. 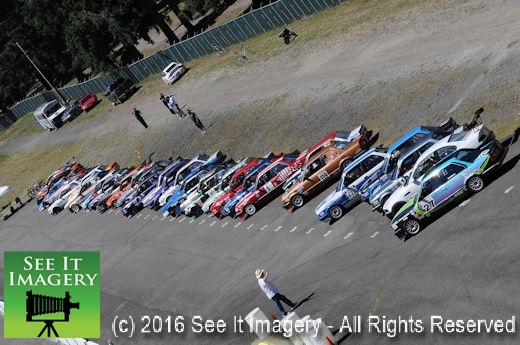 The nearly 140 entries spread out in 6 groups had a wide range of race cars to watch. 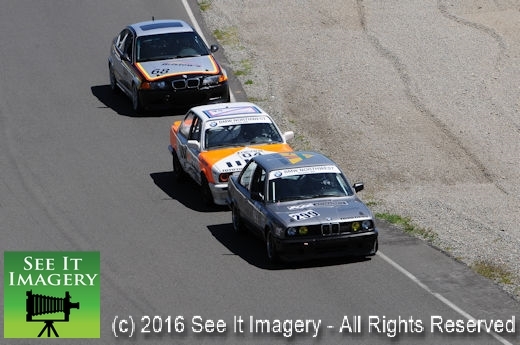 Many of the race cars have their roots in Europe and the large bore group that mixes it up with the early NASCAR type body and power makes for some great racing. 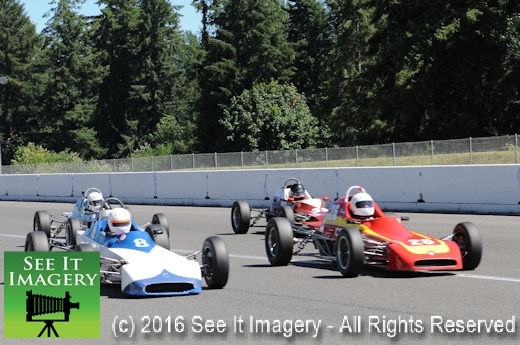 Throw in names like Stoh, Protoform, Chevron and Cheetah in the open wheel group made for some great races to watch from the many places to do so on the property. 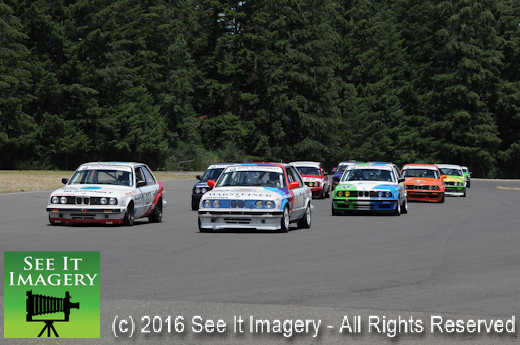 Group 1 mostly made up of Pro-3 BMW race cars had by far had the most entries. 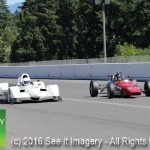 Very equal in performance they will race side by side and nose to tail for most of the race, again making for some great racing to watch. 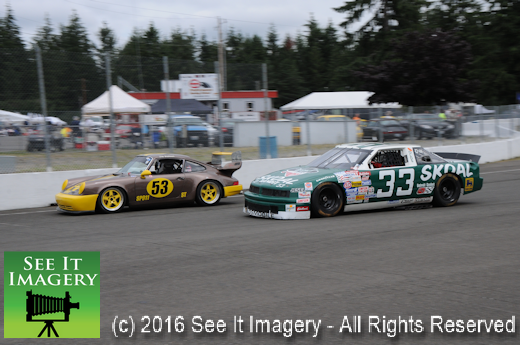 We can’t wait until next season when they will again be back at the track. 3 Albums of images for all three days of action – and some new viewpoints too – check out all the images and albums with the links below. Thank you for your support and purchases! 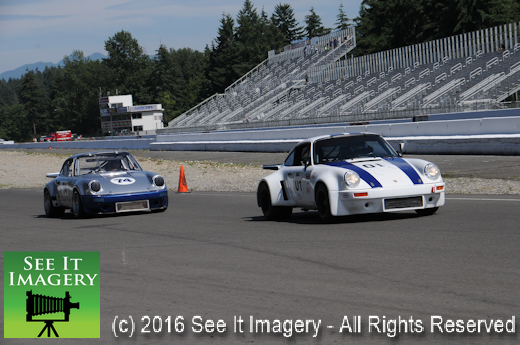 15 July 2016 Kent, WA – For all those that enjoy putting out on the track what is built into a production Porsche these are the days they mark on the date book. 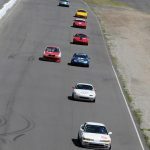 This time of year the track has the favorable weather to put the pedal down on the dry surface and test your driving skills. Add those that put the improvements to get even more running on pure race tires have to enjoy it even more. 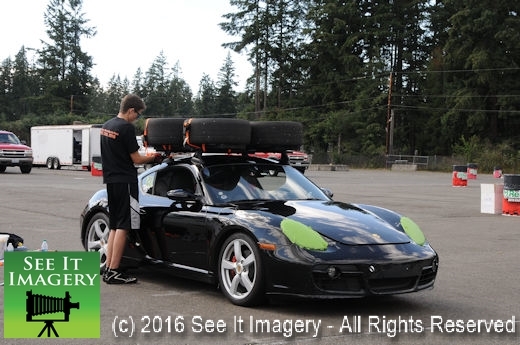 Not having to run “rain” tires though they work well it is just not the same, either way it is just fun. 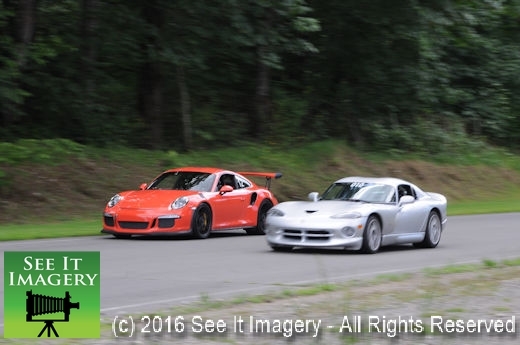 This day had that wide range of members and their Porsche modified or not just having a great time behind the wheel. Lots of great images of these amazing machines are now available – click here to go to the photo album. 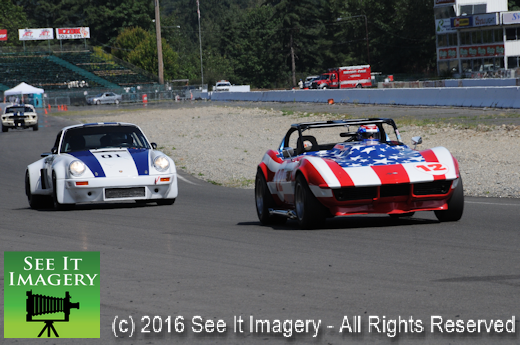 01 July 2016 Kent, WA – It was Vintage Race Cars a plenty at Pacific Raceways today. 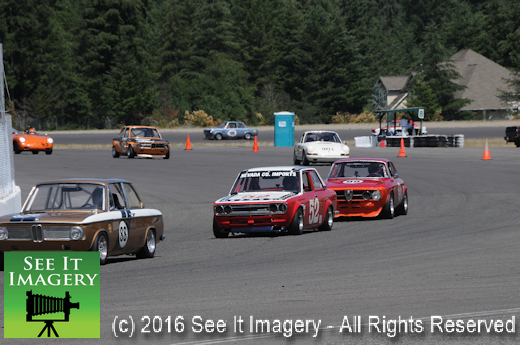 The paddock is filled to the edges with all kinds of vintage and American muscle. 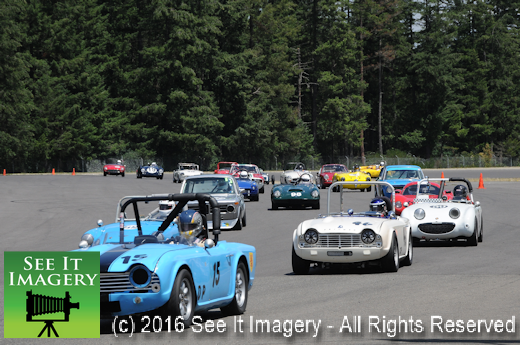 Just about if you can think it you can find it for this year’s Pacific Northwest Historics race that benefits Seattle Children’s Hospital. Today started with practice/qualifying for all eight race groups. There was a break for lunch and then the racing began running thru the groups. 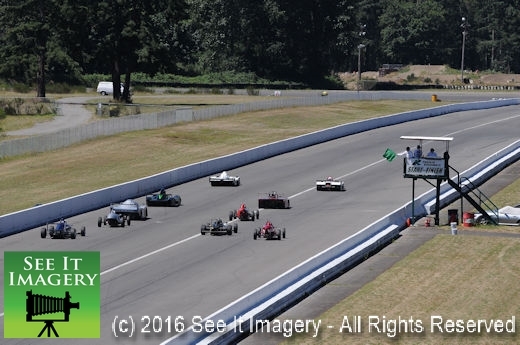 For those that enjoy this type of racing this is the place to be over the weekend. See you out there. Images from all the sessions today are now available – click here to go to the photo album. 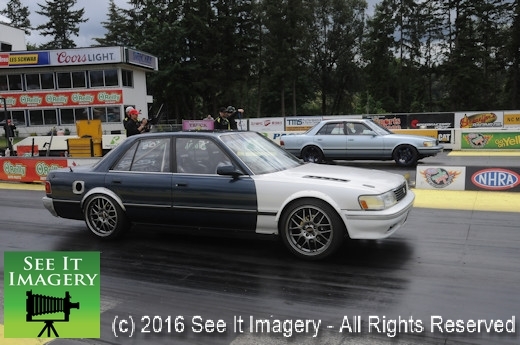 22 May 2016 Kent, WA – A new event has been added to the 2016 goings on at Pacific Raceways. The TSL has new legs and is just getting off the ground. 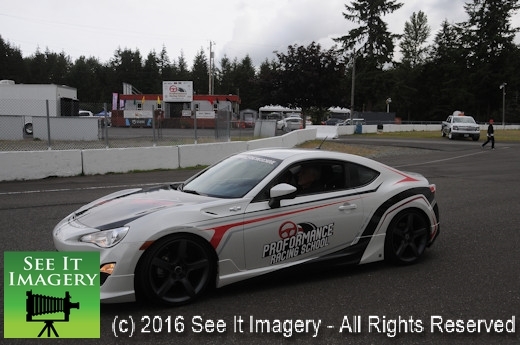 It displays a combination of cars on the paddock with a lead/follow on the road course with ProFormance Racing School owner Don Kitch leading the way and ending with the drags on the strip. 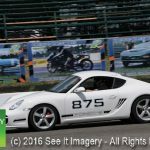 NWMotiv was on the grounds recording the event and promoting the new event. 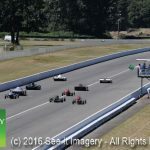 It is patterned after other events that use Pacific Raceways entire grounds – and this idea will take off in the future. 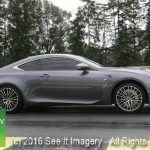 The social media aspect that is ingrained into the generation that is popularizing the Toyota line of autos will spread like wildfire and like the other’s will bring many people who feel the same about them. I can see next year’s event learning from the first to bring bigger and better into the future, plan for it. 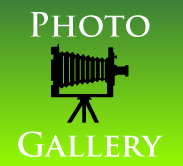 Images from all venues and angles are now online – click here to go to the photo album.